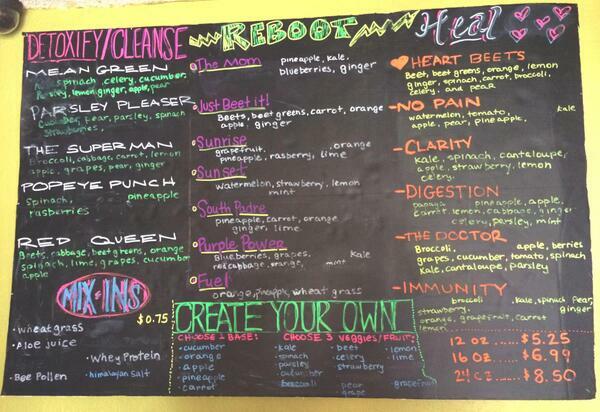 My 3-Day Juice Cleanse Experience | The Broke Asian. Hi! I'm currently writing this during Day 3 of my juice cleanse. 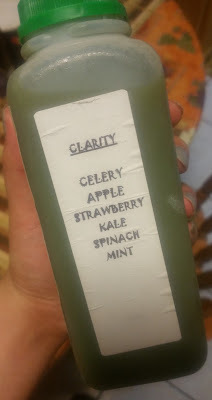 I wasn't planning on documenting about my experience, but I recall saying I would last year when I did the cleanse and never got around to doing it because I was so crabby and hungry afterwards. 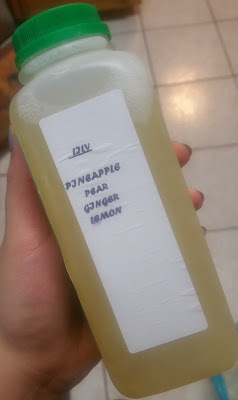 I purchased my juices from a locally owned shop and paid roughly $130 for all 15 juices. 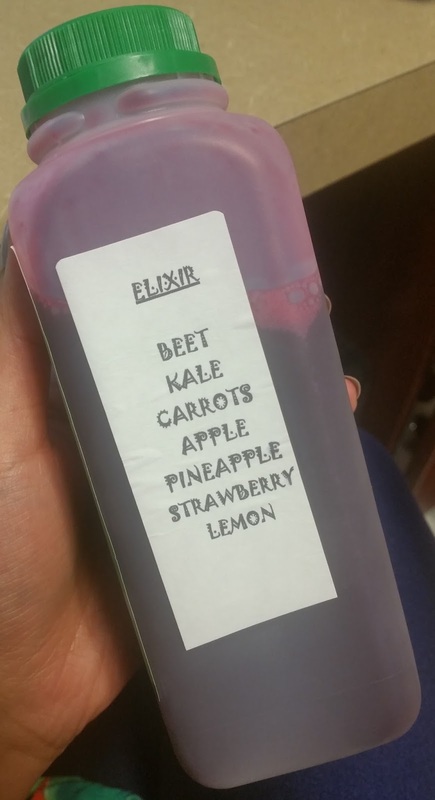 There are some websites where you can order a juice cleanse online and have them delivered to you, but I opted out of that since I wanted to make sure the juices were fresh every morning. Every day, I also get a small chia pudding cup to eat as a snack when I'm "hungry". I was hungry all day. The juice lady said I should be finished with all 5 juices by 5:00 pm, but I think that's just way too much too drink for a short amount of time. I went ahead and stretched out my juice time to 7:00 pm. I noticed that I was also very slow when it came to drinking the juices. It'd typically take me 30 minutes to an hour just to finish drinking one. That's strange since it takes me less than 5 minutes to gobble up a burger. 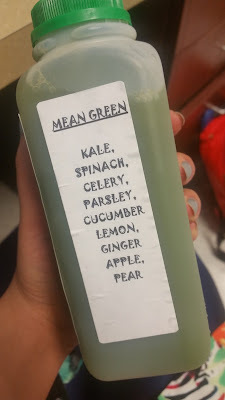 My first juice of the day was the Mean Green. It's not disgusting bad, but not very good either. An hour (or two) afterwards, the headaches began. This seriously persisted throughout the entire day, at least sharing the pain with my hunger. I woke up feeling more energized than the day before, and it seemed my headache finally subsided. A huge storm passed in the early morning, so the gloomy weather did make me feel quite gloomy. I did weigh myself before drinking anything, and noticed I went down 1.5 lbs. It might have also been in my head, but I did feel light and my leggings felt a little looser. The day consisted once again of the same 5 juices. The main difference I noticed about this day compared to Day 1 was that my water intake was lower. I'm not sure if it was because I was just over drinking anything already, or what, but I certainly did not go to the restroom as much. I started getting a mild headache again, but not as bad as Day 1. I also become more lazy when it came to drinking more water to supplement my juices, so I'm sure the headaches were entirely my fault. By the time I got home, and ready to finish my last juice...I was over it. I wasn't even hungry anymore. Just exhausted. I didn't even open my "Clarity" juice, and ended the night with just drinking 4 out of the 5 juices. I woke up with a subtle headache, probably leftover from Day 2 and partly due to my lower water intake. Apparently I'm supposed to drink more water if my headaches persist. I weighed myself again after waking up and noticed I dropped another lb, so my total for the 2 days so far was 2.5 lbs lost. I went to pick up the last 5 juices, and the lady asked me if my pants were feeling looser. I said "yes" even though I was wearing leggings and felt no difference. I've never craved tacos this badly before. I even asked my coworker if I should give up right now and buy a hefty lunch. She snapped me out of it. By the time it was 5 o'clock and ready for me to leave work, I was just exhausted. By no means do I think this is some long term results, and you should use caution when doing a juice cleanse. I mostly wanted to do this because I felt like I needed to restart my "healthy lifestyle" resolution since I strayed away from it again. By the end of my cleanse, I lost a total of 3.5 lbs. I'm sure this is mostly water weight, but I did feel quite lighter than usual and my stomach was a lot flatter as well. The next day I still felt tired, yet I wasn't craving the usual foods while at work. I ended up eating some tilapia and broccoli for lunch and found myself to be completely content with that. Overall, while juice cleanses seem like a quick way to drop weight, it's not long term. You need to eat cleaner and exercise regularly to maintain the weight loss. Also, juicing causes much of the nutrients from vegetables and fruits to be stripped out, so it doesn't necessarily mean it's healthier than eating regular fruits. However, if you're in a crunch, need to attend an event, or just need help pushing your cleaning eating...I say go for it.